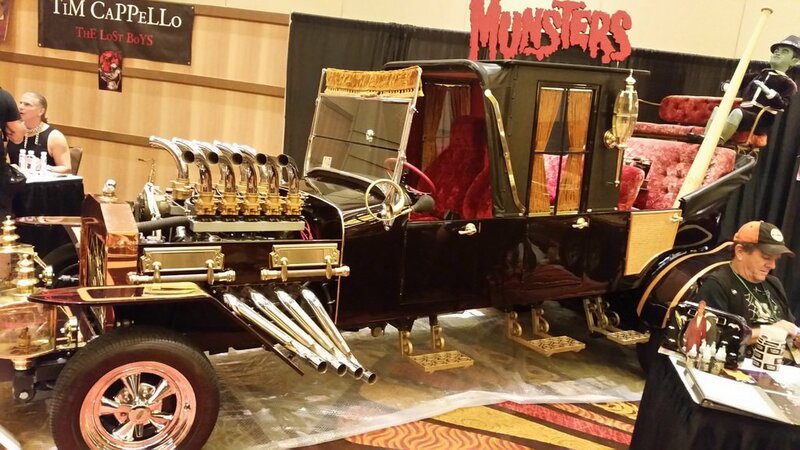 Halloween is just around the corner; since we love all things automotive here at I Drive Safely, and we love Halloween, we thought we’d combine the two. Although there aren’t a whole lot of scary movies about cars – in fact, we had to fudge a bit and mine old TV shows for one of our selections – there are a few cars that have provided some memorable chills and laughs (sometimes unintentional) over the years. Here are 5 of our favorite Halloween-ready cars. Let’s get right to the unintentional laughs. There’s a fairly impressive bit at about the 1:24-minute mark, in which The Car somehow manages to flip itself on its side and log-roll over a couple of hapless deputies. The Car is one of the all-time great, so-bad-its-good movies; yep, that’s Josh Brolin’s dad James in the lead role, one that we’re sure he’d rather forget. The TV show The Munsters was, of course, a classic sitcom about a family of classic horror movie characters living in the suburbs. The family car, known as the Koach, wasn’t scary, just cool – or rather, Kool. More than 50 movies based on Stephen King’s novels and short stories have been produced – and most of them haven’t been very good. One exception: the film version of King’s novel Christine, directed by horror maestro John Carpenter. The movie leaves a big chunk of the book by academic writing style the roadside (in the novel, the car is actually possessed by the evil spirit of a former owner), but Christine herself – a 1958 Plymouth Fury – is as scary as she is in the novel. Steven Spielberg’s second movie was made for ABC TV way back in 1971, but it remains one of his best – and perhaps the scariest driving movie ever. The plot is simple: a lone driver is chased across the desert by a massive, rusting semi truck. It’ll definitely make you think twice about getting mad at your fellow motorists.